Disney auditions for kids extended. The Jungle Book 2015 – Online auditions for the Disney Pictures lead role of Mowgli just got the deadline extended which means that kids interested in the part can still audition online until the 24th. Are you the next “Mowgli”? The new Disney Feature Film, The Jungle Book, is looking for a kid to fill the part of Mowgli! Could that be you? The film is seeking an ethnic looking boy and now you have a little more time to get your audition videos made and submitted. Do you think you have what it takes to be the next Disney breakout star? Here is your chance because Disney casting directors are holding online auditions for the lead role in the Disney Studios movie remake of “The Jungle Book“. The film will star Scarlett Johansson and maybe you. This is an opportunity of a lifetime for one lucky kid and the good news is that you don’t need an agent or experience to submit yourself for the role. Update – Disney casting directors have extended the submission deadline to mid month. If you haven’t applied yet, you better hurry up because there may not be any more extensions after this one. 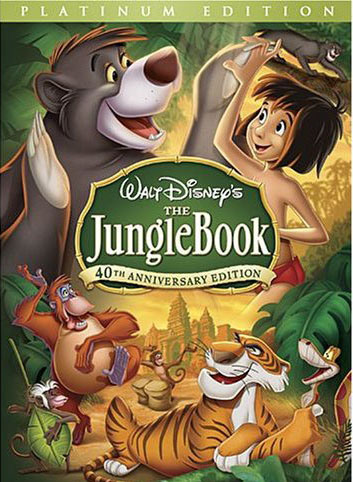 The Jungle Book is about an orphan boy is raised in the Jungle with the help of a pack of wolves, a bear and a black panther. The film already has many adaptations and a history on the silver and small screen. The story has been told many times, including an animated version in 1967 and a live action version in 1994. Now, the story will reach a new level since the director of Iron Man is at the helm. The film will have both 2D and 3D versions and we can expect top notch special effects in this version that will bring the story to life like never before. The film will be produced and directed by Jon Favreau (Iron Man) for Disney who recently commented that the movie will be the first family film he has made in a very long time. Actually, the last family film that Favreau may gave made, I believe, was Zathura. In a recent statement Favreau had this to say… “I can’t say that much, but there is an interesting take that could be very cool and the hope is to relaunch a family brand with certain mythic elements. It is my first real family film since Elf, and there are action elements and visual effects that I feel like my experience on the Iron Man films are going to be useful.” – Cineblend reported. The auditions are open to all levels of acting experience, including no experience at all. This is for the lead role and everyone can apply. They are looking for a boy between the ages of 10 to 12 to play the orphan who was raised in the jungle by a pack of wolves. Walt Disney Pictures is producing the project which already gas a release date set of October 2015. The film will be based on the 1894 collection of short stories by Rudyard Kipling. This will be a live action film and it will begin production shortly. The Jon Favreau version of Jungle Book is already getting an all star cast together. 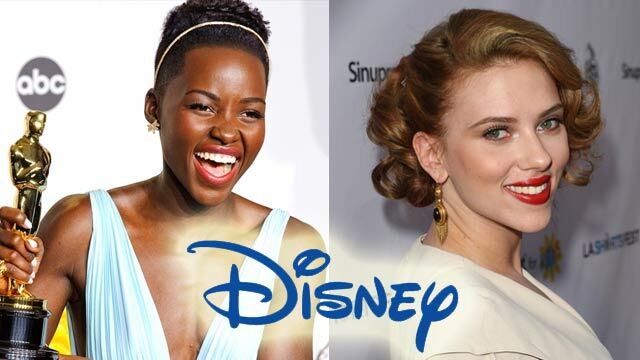 The cast includes Iron Man’s Scarlett Johansson, Idris Elba who starred in Pacific Rim as the tiger villain Shere Khan, who will be part live action and very large part CGI, and Oscar-winner Lupita Nyong of 12 Years a Slave is also said to be on-board. Lupita, if on-board will play the character of Raksha. Actor to portray 10-12 years old, Male, multi-ethnic character. Soulful, engaging, bright and athletic. He can be mischievous and impulsive, but is equally caring and creative. He has a noble and courageous spirit, which give us glimpses of the true hero he will become. To apply for the film you can submit an application through the website that Disney casting directors setup. Those who want to audition can upload one on video . Update! the deadline has now been extended. Do you live the Jungle book? Do you want to be in the new film? leave a reply and lets hear about it! Disney Dance Audition - Shake It Up "Make Your Mark"
Hi, my name is Destiney. Most I’m 11 years old but most people think I’m 8 or 9. I’ve been wanting to be an actress for a really long time and if I get this part I’d be the happiest girl ever. Hello! I would love to act for the jungle book this was my favorite book when I was little and It will be A honor to play a lead role in this movie. I’m 11 years old and I’m from a small town called Battle Creek MI, known as cereal city. Personality: I’m very energetic and have a great sense of humor. Hey! Spencer here. Since I was younger I used to get bullied a lot, it felt like no one was listening or helping. I turned to writing and performing and it helped me so much. I love to write poetry, act, dance, and sing. I’ve been in choir at my school, dance team at my school, acting at church and school, and writing for a long time even before the bullying. I want to inspire people and make sure they know no matter your past you can achieve your dreams. I’ve always wanted to act as a career no matter the struggles. Ive been running track and cheering since I was six also. I hope my dreams come true so I can live it and so I can inspire others. Thank you very much for taking the time to read this and hopefully you pick me for any job you have out there. Hi I’m Juliet Chavez. I’m 14 years old. My height is 5’5. I would really like to be in this movie and I’m expecting to hear from you soon. Thank you. Hello, my name is Jolie. I am an 11 year old and have a great passion for acting and modeling. I am talented and bright with a bubbly personality and have a deep ambition for success. I would love to be in this movie and show what I am capable of. I look forward to your response. Thank you for your consideration. My name is Ashley Newton. I am 16 years old and I am 4’10”. I can pass for 11 to 19 years of age. Hello, my name is Joel DeVaughn. I love to act, sing, write poetry, run track, play football, give inspirational messages, and draw anime and realistic types of art work. I am Asian as the requirement of the movie asks for. I am 11 Years old with dark colored hair and black eyes. I believe that I am ideal for this role, I have performed many roles in school functions. I Love pets, also I have dogs, rottweilers, a Labrador and a German Shepard. I will send my video soon. Hi,my name is Daniel Ramos. I think that I would be great for this role as Mowgli because I am very caring and engaging and will make sure that everything I have to do gets done. Thank You very much for the opportunity and I hope to hear back from you guys soon. Hi I’m Michelle. I love acting and I think this part is for me. I’m 10 and I have been in school plays. I love to dance, model and rap the song fancy. I want this because it’s my passion to act. I’m Haitian American but I have a Georgia accent. I was born in GA. I am a star in motion, my hair is natural and I look 9. My Name is Gabriel. I am 10 years old, in a couple of days I’ll be 11 years old. I’m from California and I love acting. Hello, My name is Angel Andres Pastrana, I’m 13 years old. My height is 5’5. I Weight 100 Lbs. I’m pretty athletic but I’m not super athletic, not going to lie. I’ve done baseball, track, tennis, and a little bit of karate. OH. I’m also a guy not a girl just letting you know. Please reply, I would love to work with you some day. (: Thank you for your time. Hello,My name is Angel Andres Pastrana. I live in a Caldwell, Idaho. I’m 5’5. My body weight is 100 Lbs. I’m super skinny. But I’m pretty athletic but not super athletic, not going to lie. I have done tennis,track,karate for a little bit, and baseball. I enjoyed every second of it. You can contact me using my email, then I’ll give you my number and we can talk it over. Hi my name is Sam. I am 11 years old and Chinese American. I love to read, box and dance. I took acting in New Jersey and now I live in Arizona. I would love to be your new Mowgli, when do I audition? I would love to be in this movie! I would really really love to work with you guys! I’m talented and I would really enjoy showing you guys that I am and that I have what it takes to be here (: ! Hope to receive a msg or email from you guys soon. If you have an audition for a teenage version of Mowgli, U could play it very well. This would be a really fun movie to do! I’m Summer Lambert! I’m 13 years old and have dark hair and tan skin. I just finished TV acting 1 in Kids On Camera which is an acting school in San Fransico. I’d love to be in this movie! Can’t wait to apply! Yes, I am perfect for this role. I have always wanted to be an actress and let me ask you, were do I apply? I have a 6 year old little boy with dark brown hair, brown eyes, tan skin, tall and skinny. Would love to hear from you. My baby girl is perfect for this movie, please take the time to analyze her smartness and see how talented she is.